When most people think of outdoor lighting they envision a beautiful home and landscape enhanced by the soft, romantic illumination of professional outdoor lighting. It is true that the aesthetic appeal of outdoor lighting is important, as is their ability to enhance function of your landscape in the evening. 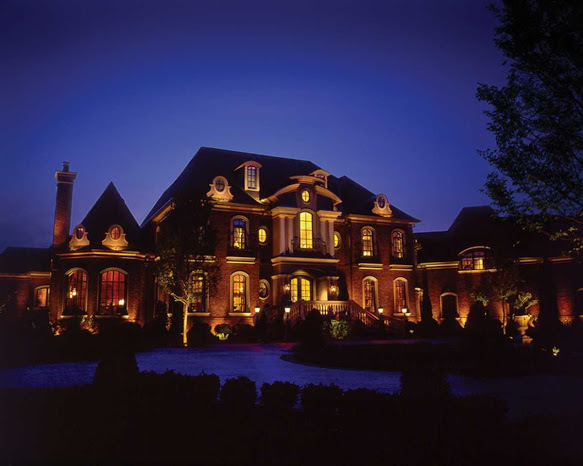 One often overlooked aspect of outdoor lighting that is just as important is the safety of the outdoor lights themselves.Safe outdoor lighting is a top priority at Outdoor Lighting Perspectives of Nashville. Letting a novice install your outdoor lighting can often lead to safety hazards such as overloaded circuitry and incorrect installation. This is why it is important to have an outdoor lighting professional install your outdoor lights. Aside from choosing a reputable, experienced outdoor lighting professional there are other safeguards that need to be addressed from the position of the homeowner which can affect the safety of your outdoor lighting. 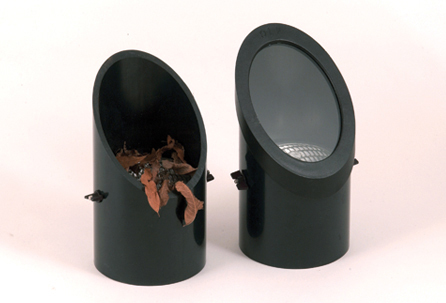 This lens cover has been damaged by allowing debris to pile atop the light. One of the number one fire hazards that pose a threat in outdoor lighting is the absence of lens covers, especially on well lights. As we look ahead to the coming spring, homeowners will be busy sprucing up their yards by trimming bushes, flowers and trees as well as refurbishing their mulch and pine straw in their landscape. Spent clippings from plant material are often dried out, and once it has been trimmed will dry out quickly. It is important to discard these clippings and keep them away from all outdoor lighting to avoid the risk of fire. When applying new mulch or pine straw it is also crucial to avoid covering your outdoor lighting. Covering your outdoor lighting will not only make your lighting look bad, it can also present a risk of fire from contact with the dry mulch. This is the reason having lens covers on your well lights is so beneficial. 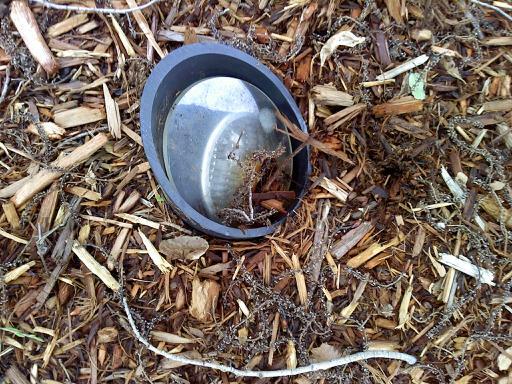 The purpose of lens covers is to keep any foreign material out of your well lights that could potentially pose a fire hazard, including plant clippings and mulch. This image clearly illustrates the importance of lens covers. Even with lens covers it is still possible for outdoor lighting to become a fire hazard if covered completely by landscape materials. The material can cause the light itself to heat up and melt. It is a good idea to perform a once over in your landscape beds once your new mulch has been delivered, and again when applied to make sure no lighting has been buried underneath. It is also important to convey to your landscape manager who is overseeing your mulching or trimming the presence and location of your lighting to ensure no lights get buried. As lighting systems transition from quartz halogen to LED, mulch-related heat buildup problems and issues will decrease. 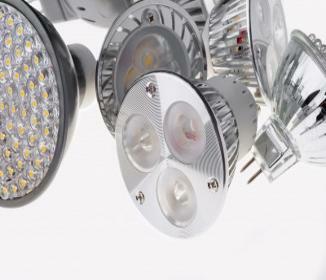 If you are new to outdoor lighting and are considering adding them to your home and landscape in the near future, choosing an LED system will decrease the risk of heat buildup and fire because LED lighting produces very little heat when in use because it contains no filament. The light LED produces come from a process called electroluminescence, where a substance is acted upon by an electric field that produces a cold light. Not only does LED pose less of risk of causing fires, it is also dramatically more energy-efficient, more durable, and leaves less of a carbon footprint on the environment. It doesn’t get much “cooler” than that! Visit our garden and landscape lighting gallery to see examples of how we make safety a top priority with our landscape lighting installations. You can also see the beauty and benefits of LED outdoor lighting first hand by visiting our outdoor lighting photo gallery. Both galleries are located on our website. This entry was posted in Landscape Lighting, LED, Outdoor lighting safety and tagged Benefits of Nashville LED outdoor lighting, Garden lighting, Landscape Lighting, landscaping, Lighting Tips, Nashville cool burning LED technology, Nashville landscape lighting safety, Nashville outdoor lighting safety, outdoor lighting Nashville, Promoting outdoor lighting safety in Nashville TN, The importance of lens covers in Nashville outdoor lighting by outdoorlightingnashville. Bookmark the permalink.